Learn who can make funeral plans, and how to make arrangements in advance. In Washington, you may name the person who will carry out your funeral arrangements. You can also provide detailed instructions about your final wishes and set aside funds to cover your funeral expenses, including the costs of burial or cremation. Who Has the Right to Make Funeral Arrangements in Washington? How to appoint an agent. To name someone to carry out your funeral arrangements, you must write down what you want, then date and sign your document in front of a witness. (R.C.W. § 68.50.160(3)(b).) You should ask the witness to sign the document, too. You can download a free Washington form to name a funeral agent from the website of the People's Memorial Association. Naming your agent in a durable power of attorney for health care. One smart way to appoint a representative is to make a power of attorney naming a health care agent. In your document, you can give your agent explicit power to carry out your final arrangements. (You must make this authority clear in the power of attorney document; otherwise your agent’s decision-making power ends when you die.) This saves the trouble of making separate documents for final arrangements and health care decisions. For information about making a durable power of attorney for health care, see Washington Living Wills and Durable Powers of Attorney for Health Care. To make a Washington health care power of attorney that appoints your health care agent to carry out your final plans, you can use Nolo’s Quicken WillMaker Plus software. If you’re in the military. You may name the person who will carry out your final wishes in the Record of Emergency Data provided by the Department of Defense. Who Pays for Funeral Costs in Washington? The National Funeral Directors Association puts the average cost of a funeral at more than $7,000. This figure doesn’t cover many common expenses such as cemetery costs, markers, flowers, or obituaries. For many people, after a house and a car, funeral goods and services are the most expensive thing they’ll ever buy. It’s wise to make a plan to pay for these costs. leave enough money for your survivors to pay the bills. If you don’t do either of these things, your survivors must cover the costs of your funeral arrangements. Paying in advance. If you want to pay for your funeral arrangements ahead of time, make sure you’re dealing with a reputable funeral establishment and clearly document any plans you make, so your survivors can easily carry them out. Though the law requires providers of funeral goods and services to carefully manage your funds (see Chapter 308-49 of the Washington Administrative Code), abuses do happen. What’s more, if a funeral establishment goes out of business, your careful planning may be lost. For more information, see The Prepaid Funeral and Its Perils. Setting aside funds. The safest and easiest way to cover the costs of your final arrangements is to estimate costs and tuck away the funds in an easily accessible, interest-earning bank account. You can designate a beneficiary who can claim the funds immediately after your death. Make sure the beneficiary understands what the money is for, however, and that you trust him or her completely, because the beneficiary is under no legal obligation to use the funds for your final arrangements. For more information about setting up an account to cover the costs of your final arrangements, see Payable-on-Death (POD) Accounts: The Basics. Beyond simply naming a representative, letting your survivors know what kind of funeral arrangements you want -- including your wishes for ceremonies and whether you want to be buried or cremated -- will save them the difficulty of making these decisions during an emotional and stressful time. To make your wishes legally binding, you must write them down in a document that you date and sign in front of a witness. (R.C.W. § 68.50.160(1).) An easy way to handle this is to include your final instructions with the legally valid document that names an agent to carry them out. The People's Memorial Association offers a free Washington disposition authorization form that you can use in conjunction with the form that appoints your agent (see above). Or, you can use the disposition form separately. If you trust your survivors to carry out your wishes and you’re not concerned with making them ironclad, you may use whatever method you like to make your preferences clear. Nolo offers several tools to help you document your wishes for final arrangements. Each one walks you step-by-step through the process, so you won’t miss any important issues. Quicken WillMaker Plus can create a final arrangements document for you. The software program asks you questions about what you want and produces a detailed document you can give to others. 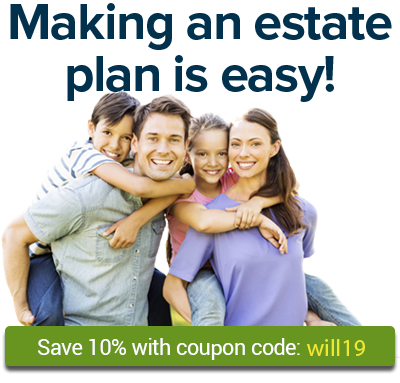 As mentioned above, you can also use the program to prepare a Washington durable power of attorney for health care that names your agent to carry out your wishes. Get It Together: Organize Your Records So Your Family Won't Have To, by Melanie Cullen with Shae Irving, is a workbook that provides a complete system for documenting information for your executor and family members, including your wishes for final arrangements. Nolo’s Final Arrangements Kit includes all the basic forms and instructions you need to document your final wishes. While there are many ways to write down your wishes for final arrangements and make them clear, here’s a firm piece of advice to follow: Don’t put them in your will. Your will may not be read until weeks after your death -- far too late to help your survivors. It’s better to prepare a separate document. Store your final arrangements paperwork in a safe place and be sure your loved ones know where to look when the time comes. It may be helpful to make copies and tell them where to find the originals when they’re needed. If you do so, be sure to keep a list of everyone with copies, in case you need to get them back and change them later. To find the laws covering funeral arrangements in Washington, plus a link to file a complaint against a funeral services provider, visit the website of the Washington State Department of Licensing: Funeral and Cemeteries. To learn more about making your final arrangements, see Getting Your Affairs in Order on Nolo.com. For details on the rules that control disposing of remains in Washington, see Burial and Cremation Laws in Washington.